Last Sunday, striker Douglas was the character of Juventude’s victory, in his debut in the Brazil Cup U-20. Playing at Alfredo Jaconi Stadium, in Caxias do Sul, the team won the Cruzeiro 2-1, with two goals from Douglas. The first, just with four minutes, when he made good move and covered up the goalkeeper. 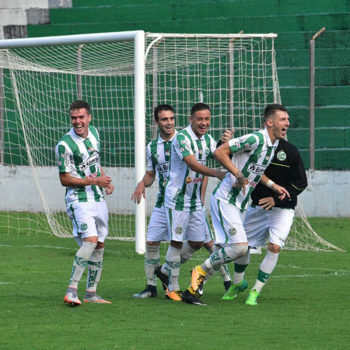 The top scorer of Juventude scored the second goal in a penalty kick. “I’m very happy because I managed to score twice and help my team to come out with the win. We knew it would not be an easy game, but we left with a beautiful result and a good advantage for the game back, “Douglas celebrated. Now, on Thursday, the return match will be held in Minas Gerais, which will define who advances to the next stage. “We know they will do everything they can to beat us, but we’re going there to get the classification. We are very confident to continue in the championship”, said.